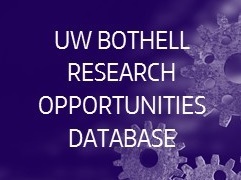 UW Bothell undergraduate researchers are encouraged to apply to share their work at the 22nd Annual UW Undergraduate Research Symposium on May 17th on UW Seattle Campus in Mary Gates Hall. Be sure to use #UWSymp if you post about the symposium on social media. Step 4: Still have questions? Email the UREACH ambassadors club at ureach&commat;uw.edu. They are here to support you!